Ankle Pain is more common than one would think – the ankle proper consists of 3 bones (Tibia, fibula, and talus) and 3 joints (tibiotalar joint, subtalar joint, and the inferior tibiofibular joint). Ankle pain can result from many causes and depending on the severity can range in healing time from 1-2 weeks upwards to 6+ months. 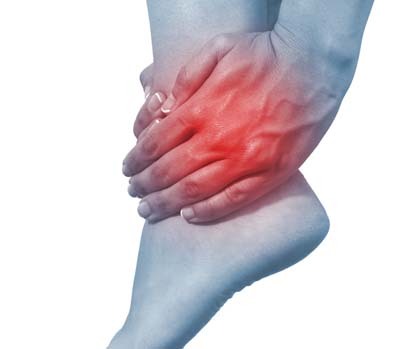 Sprain and/or strain are generally the most common. For this reason there is always a combination of join, tendon, ligament, and other soft tissue injury. Thus a proper assessment is vital for determining the course of treatment and to determine the length of time required to properly rehabilitate the ankle.